Some things are meant to be subjective. Like your favorite candy, for instance. If I asked Johnny to define the perfect candy, he’d grab a box of Good ‘N Plenty’s from the cupboard. If he asked me to define the worst candy, I’d take that box of Good ‘N Plenty’s and throw it in the trash. And as Johnny mentioned in this post, he won’t be partaking in any Peeps next Sunday. So I’ll be forced to eat double the amount of Peeps so we stay in good favor with the candy gods. But it’s perfectly a-okay for our definitions of good candy to be polar opposites. The “I’m out of money” budget — This budget is the one where you don’t spend more than you have in your bank account. I know this budget well because I used to budget like this when I first started college. Friends: “We should all go out to dinner tonight!” Me: “You guys can go, but my budget is just too tight.” Translated: I’d love to, but I only have $5 in my bank account. I thought as long as I didn’t go into credit card debt, I was doing okay. Sure, I spent every cent I made. But it wasn’t overspending because I didn’t spend more than I had, right? Right?? 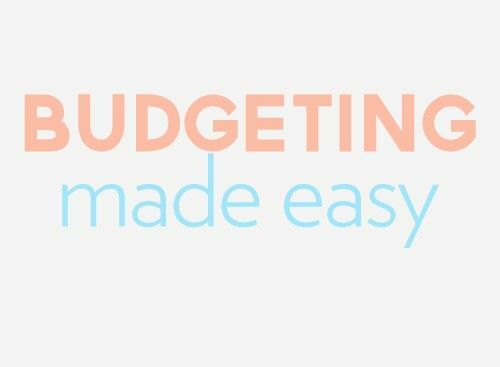 The “I don’t buy the most expensive stuff” budget – Sometimes, budgeting is defined as simply restraining your spending, even if just a little bit. Buying a $2,000 rug doesn’t deserve a pat on the back just because there are $10,000 rugs out there. Or this: “We stuck to a budget on vacation.” Translated: We didn’t always choose the priciest restaurants, and our room wasn’t the penthouse suite. 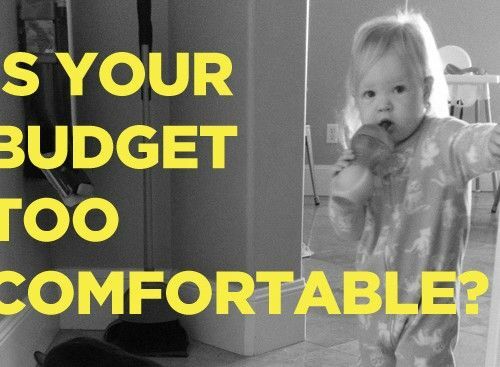 Unless there’s a rhyme or reason to how much you spend, it’s not really budgeting. Maybe one of those definitions sounded eerily familiar, like seeing an actor in real life and thinking he must be someone you know. Or maybe you have a different definition of budgeting you’d add to that list. Johnny and I would like to add a definition, and that’s our definition of budgeting. 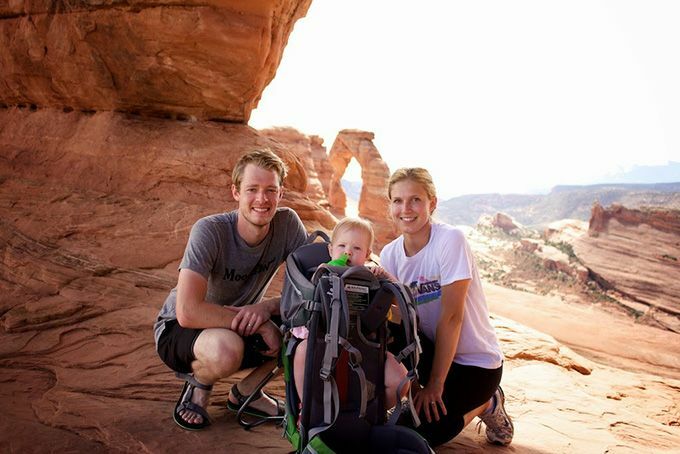 The “I track my spending with a purpose” budget — For Johnny and me, budgeting has a simple, yet specific definition. First, it’s setting financial goals. Then it’s coming up with a plan to achieve those goals. And last, it’s tracking your spending and savings each month. It’s not just tracking and saving, though. It’s tracking and saving with a purpose. That’s our definition in very, very short form. If you’d like our long form definition, here it is. 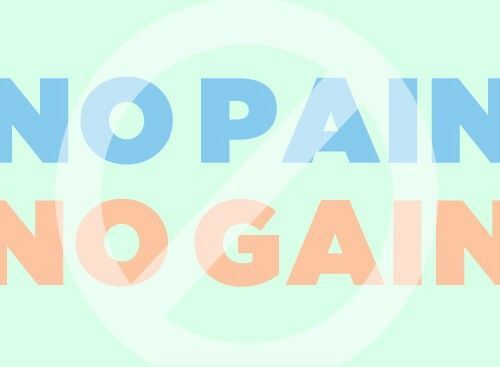 Maybe someday when we’ve met every savings goal we can think of, it will be okay to to just buy what we want, when we want. But I’d like to think that even then, we’ll still stick to a budget. What about you? 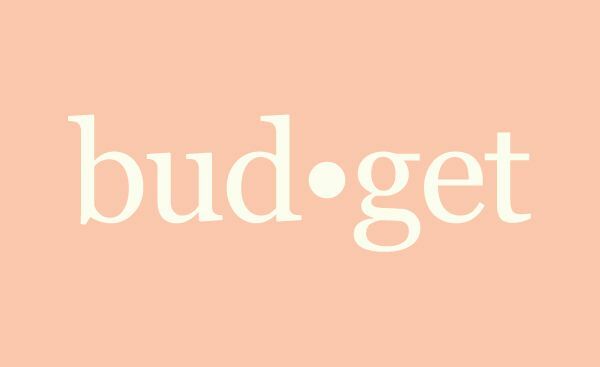 How do you define budgeting? I like budgeting adaptations. And yours looks like a nice alternative for when we’re feeling lazy… so every month. Like your definition, so long there’s a plan, there’s a budget. Hmm excellent points! I don’t really budget anymore – have a pretty good idea of what we spend on each essential category this week, extras we deal with ad hoc. I track really closely though and that is more important to me. Yep. So long it’s being tracked (whether on app, paper, or in your brain), it’s working. Well, even when its tracked we still mess up. But it’s better to know that you mess up than finding out well after the month is over. Good point! And yes, I guess that definition of what a budget is changes depending on who you’re talking to. I think for us, we have a BUDGET (ie, the money we want to spend vs the money we want to save) then within that we have smaller budgets – like our travel budget, our eating out budget, our weekly grocery budget, etc. That’s kinda how we manage it. Mama budget and her budget babies. We’re with you on a few of those. But we’re actually terrible with long-term budgets that aren’t explicitly savings (retirement, 529, etc.). For that reason, we’ve never really had a vacation budget. But we’ve always figured the important thing is just saving and then how we use those savings isn’t as big of a deal (so long as it’s not just spending all of it).